Your Salem State password is the key to your Viking life, from registering for classes to keeping up with assignments and checking e-mail. ITS Security wants to make sure the only one with access to your private info is YOU! Over the next few months, ITS will be gradually expiring student passwords that haven't been changed since November 1, 2017. ITS will email impacted students via email prior to their password expiration. Don't get locked out of essential services like Navigator, your e-mail or the on-campus wi-fi when you need them most! 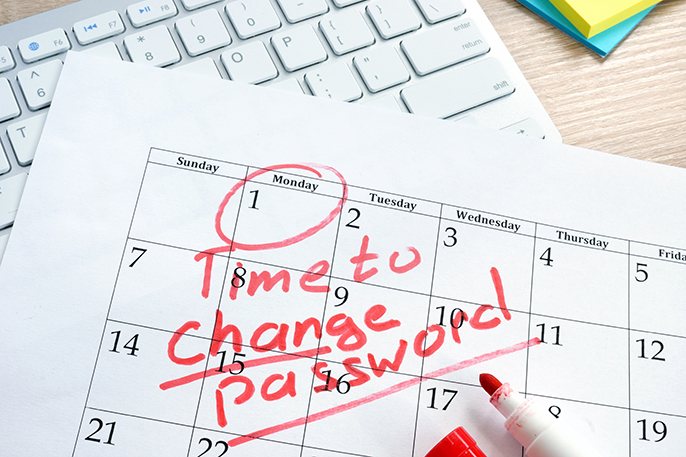 Take five minutes and change your password now. Visit the password reset page in Navigator to get started. To keep your account safe, your password is required to use at least 14 characters, including at least three of the following: an uppercase letter, a lowercase letter, a number or a symbol. The best passwords are easy for you to remember but difficult for hackers to guess, so don't use things like your name, birthday, or the word "password". Never, ever share your password with anyone! Read step-by-step instructions on resetting your password here. Contact the ITS Help Desk at 978.542.2036. Information security helps keep the Salem State community safe from threats to our data. If you see something suspicious, reach out to them at security@salemstate.edu or 978.542.4225.